← Lucy the Talented Toy Terrier – My Adorable Pet! 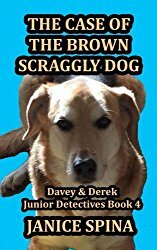 I am excited to introduce you to a new book coming in the Davey & Derek Junior Detectives Series! Here is the cover for The Case of the Mystery of the Bells, Book 6 of Davey & Derek Junior Detectives! The cover and all illustrations of the Chapter headings were done by my husband, John. This book will be coming out in late April or early May. Watch for the links posted here and on Jemsbooks.com. As in all Jemsbooks for children of all ages there are life lessons to be learned. 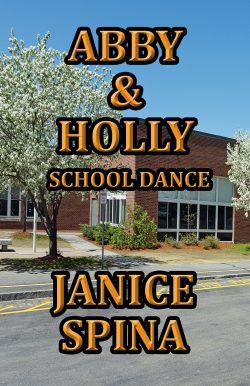 In this series and the Abby & Holly Series, the boys and girls learn that it is important to be kind to others, respect one another, listen to parents and elders, love one another, bullying is never accepted or tolerated, family and friends are important. As a parent and a grandparent I like to see children reading wholesome books that encourage and promote good behavior in them. Do you parents out there agree? You will never see anything in my books that is not suitable for children, no foul language, no situations or other things that you do not want your children exposed to at their tender age. 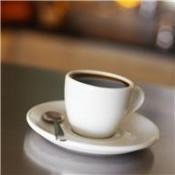 I do approach and discuss tough subjects like bullying and some family matters. You can relax and let your children enjoy these clean books while they learn important life lessons. Read them yourself to find out what I mean. I welcome any feedback from you and your children on my books. Thank you for your kind support. Step into another magical and fun adventure with the twin detectives to solve this new mystery. There are clues at every turn, ghostly dreams with strange messages, and a surprise visitor that shakes things up. Even Aunt Gigi and Mianna are at a loss to provide any assistance to the boys. Will Davey and Derek be able to solve the mystery of the bells? Where do they turn? Will they be able to put all the clues together? Can they use their new birthday gifts in this adventure? Find out what the boys do in this magical mystery. This series is dedicated to my two middle grandsons who are now 12 and 14. They love these books and enjoy reading about mysteries and adventures. They have done book reviews for their schools with this series. This series is enjoyed by both boys and girls! This series has won several awards and continues to delight MG and PT. 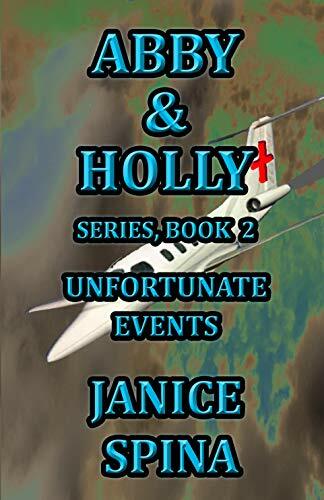 Check out all the other books in this series Books 1-5 on both Amazon and Barnes & Noble. I will continue to write in this genre because it is a joy to be a kid again. That is how I feel as I write the dialogue and imagine I am a preteen and teen once again. It was a fun time! I hope all MG/PT/YA and adults will enjoy this series. I have received many wonderful reviews from adults about how they love these books and will pass them on to their children and grandchildren. That is lovely music to my ears! Thank you! Robbie Cheadle4.0 out of 5 starsA fun read for middle school readersNovember 25, 2017Format: Kindle EditionVerified PurchaseMy son, Michael aged 11 years old, and I read this book together. The Case of the Missing Cell Phone is the first in the Davey and Derek junior detective series and it really appealed to Michael. He loved the idea of two twin boys taking on a mystery and being able to solve it. The fact that this book is very modern and has an expensive cell phone at the center of its story delighted him. My Michael can certainly relate to the anxiety of losing such an expensive piece of technology and the consequences of that. Michael felt that he would certainly be prepared to speak to boys in a younger class if it would help him recover a lost cell phone. 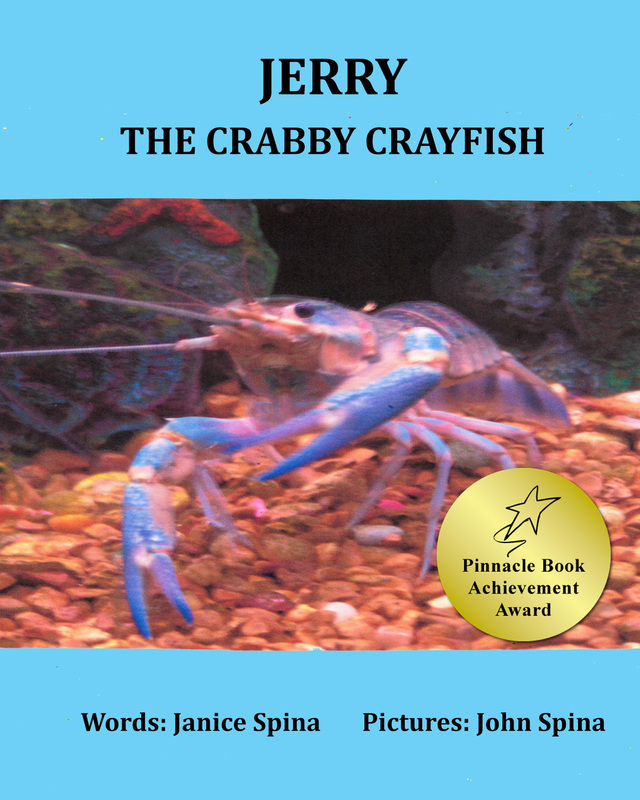 The book is entertaining and pushes the right buttons for its target audience of children aged 9 to 12 years old. It touches on the themes of stealing and bulling and had teaches some excellent life lessons in a subtle way. Robert5.0 out of 5 starsGreat StorySeptember 1, 2015Format: Kindle EditionVerified PurchaseBeing a grandparent and an avid reader I am always on the lookout for good clean books for my grandkids. Davey and Derek’s Aunt and Uncle settle in town after years of worldly travel, but there is something different about the Aunt that sets her apart from most Aunts – she is a good witch blessed with the gift of magic – one of which is her long deceased cat whoes aura lives on in a crystal ball and still tries to help people. Davey and Derek learn they to have a few magical powers of their own one of which is the cat trying to communicate with them and warn them one of their friends is going to get into serious trouble. The question is can they use this magic and prevent a catastrophy? Cute story – clean- refreshing – and not preachy. The Case of the Mysterious Black Cat will keep a young mind intrigued and reading way past their bedtime. 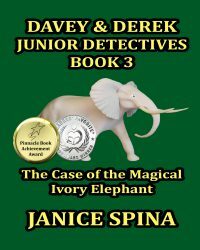 ***** Reviewed by Rosie Malezer for Readers’ Favorite The Case of the Magical Ivory Elephant is the third book in the Davey & Derek: Junior Detectives series, written by Janice Spina and illustrated by John Spina. 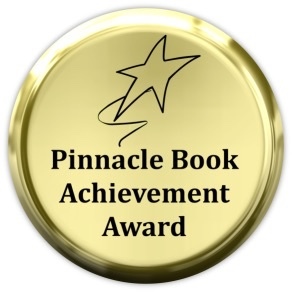 While celebrating their eleventh birthday at the Pizza Palace, Davey and Derek Donato’s festivities are suddenly interrupted when restaurant staff discover a would-be thief breaking into their gaming machines. The twins later visit their Aunt Gigi, where they learn the story of Tamba – the beloved elephant of an African village, which died after living a full life. Aunt Gigi’s living room is filled with mementos of her visit to Africa, including a magical elephant figurine, carved from the elephant’s ivory tusk in honor of Tamba’s incredible life. On returning home, Davey and Derek find Peter Reynolds – the party-crasher from their pizza party – waiting at their front gate. Peter asks for the twins’ assistance regarding the theft of an ivory figurine from the local museum – carved from the same tusk as Aunt Gigi’s figurines. With so many suspects to choose from, all with alibis, Davey and Derek are pushed to the limit, trying to solve the case. 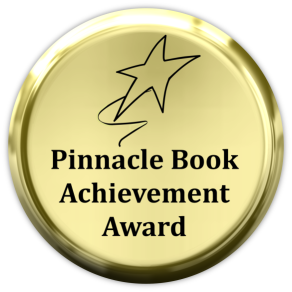 Janice Spina’s adventurous tale of twins just coming into their magical powers is one of excitement, suspense and mystery. With each chapter’s header carrying its own unique illustration, the story is one which can easily be enjoyed by children and adults alike. No stone is left unturned as Davey and Derek are given all the tools they need in order to fully investigate the case. Many exciting surprises are brought to light in The Case of the Magical Ivory Elephant, with more and more magical characters being disclosed as the story progresses. Having read all three of the Davey and Derek novels, I find myself being lured into the story more and more, almost as if … by magic! I thoroughly enjoyed The Case of the Magical Ivory Elephant, and recommend it to readers of all ages who enjoy the fun, thrill and adventure of two gumshoe detectives, each of whom has the world of magic at their fingertips, whilst trying to solve the most difficult of cases..
Mrs.D.5.0 out of 5 starsGhostly Mystery…February 8, 2018Format: Kindle EditionBoo! 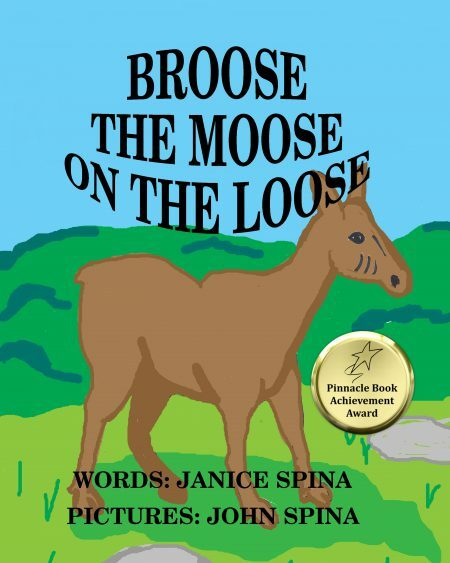 Another amusing middle grade mystery from accomplished author Janice Spina! The author’s standard for instilling the love of reading in children is impressive and proven. Davey and Derek are two humble detectives who are very thoughtful of their friends and the people around them. Always helpful, they don’t hesitate to step in when their friend Abby announces that something unusual is happening in their old Victorian house. The twins immediately jump on the new case. What would an old house be without a ghost? As in the previous books in this series, “The Case of the Sad Mischievous Ghost” meets the readers’ expectations. The young detectives face some challenges while unraveling the ghostly mystery, but with help from their mysterious Aunt Gigi and some other friends, they untangle it very professionally. The twins are growing with her stories, and surprisingly they are that age when boys are noticing girls … and sweet friendships are developing between the twins and the pretty cousins. Thank you so much for stopping by to learn about my new book. Watch for it coming next month! 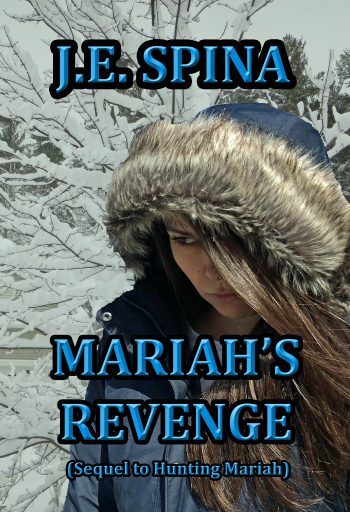 This entry was posted in 5-star reviews, Award Winning Series, award-winning author, Book Cover, Davey & Derek Junior Detectives Book 6, Davey & Derek Junior Detectives Series, detective/mystery series for boys, ghosts/specters/phantoms, Jemsbooks for all ages, Life lessons, MG/PT/YA Books, Mystery, new book coming, Reading, Writing, book reviews and publishing, poetry, children's books, YA and novels and tagged Award Winning Series, cover reveal, Davey & Derek Junior Detectives Series, detective series for boys, life lessons for children, magic and fantasy, MG/PT/YA books, mystery series, new book, Reading, Wholesome books. Bookmark the permalink. 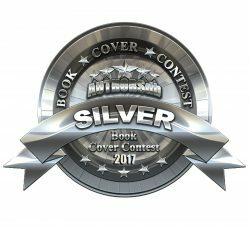 20 Responses to Cover Reveal – New Book from Jemsbooks – The Case of the Mystery of the Bells, Davey & Derek Junior Detectives, Book 6! Great cover and blurb, Janice. You’ve got another winner. Congratulations! Thank you so much, Mae! 😘🤗 I am starting your book, Cusp, tonight! Can’t wait! So lovely to hear, Janice. I hope you enjoy it! That is a great blurb … the cover ain’t bad neither.